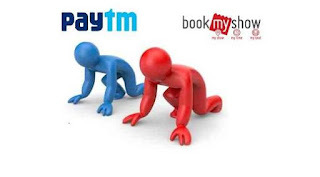 Paytm – Get Rs 100 Cashback on Booking 2 Gully Boy Movie Ticket. Paytm has come up with with New Deal for Movie Ticket booking users, where you will get the Flat Rs 100 Cashback on Purchase of 2 Gully Biy Movie Tickets. Minimum Purchase is Rs 300. So Hurry up and book your Movie Tickets now !! How to Get Rs 100 Cashback on Gully Boy Movie Tickets ?